LG's rumoured 'super' phone looks like it is set to become reality, with Qualcomm confirming it is working with the electronics giant on a new phone. Earlier this week, rumours had it that LG was developing a new uber-powerful smartphone called the LG Optimus G.
It was also thought that Qualcomm would power the device and this has all-but-been confirmed by the chip maker. 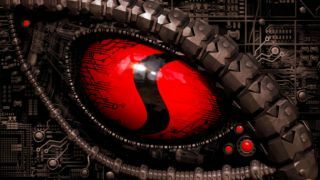 According to Qualcomm it will be supplying its Snapdragon S4 Pro platform to LG, which will fit nicely into LG's forthcoming quadcore smartphone and offer "a superior mobile experience for voice, web browsing, games, user interfaces and other graphics applications". And when it says superior, it really means it. Benchmark tests for the S4 Pro chip have it way out in front of the current crop of mobile devices, thoroughly beating current devices such as the Galaxy Nexus 7 and Samsung Galaxy S3. And the bonus of the chip is that it should be more battery friendly than Tegra 3 and Exynos chips – and even surpasses specs for the PS Vita. As for an LG Optimus G release date, it is likely we will see the phone out in September in Korea. Here's hoping it will be shown off at IFA 2012.